Co. Galway: Abbeyville, Ballyglass, Coos, Derrew, Drummin, Eyrecourt, Killimor, Kilmalinoge, Kilquain, Meelick, Moat, Pallas, Portumna, Tiranascragh, Tynagh. The Guardians met each week on Saturday. 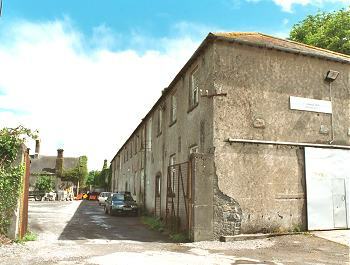 The new Portumna Union workhouse was erected on a nine-acre site half a mile to the north of Portumna. Designed by the Poor Law Commissioners' architect George Wilkinson, the building was intended to accommodate 600 inmates. Its construction cost £6,700 plus £1,175 for fittings etc. The site location and layout are shown on the 1933 OS map below. 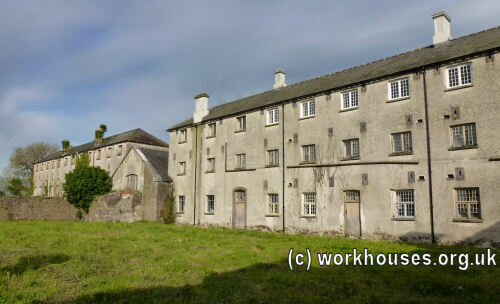 The layout was somewhat different to Wilkinson's earlier designs, and was a similar size and layout to the workhouses at Castlecomer, Clonakilty, Urlingford and Mitchelstown which were built at around the same time. The front of the site at the south had a central entrance, flanked by a long two-storey block at each side. To the rear, the main buildings had a T-shaped layout. The single-storey wing to the south probably contained the dining-hall and kitchens. Above it hung the workhouse bell which governed the daily life of the inmates. The two main accommodation wings, one for men and one for women, were three storeys high. 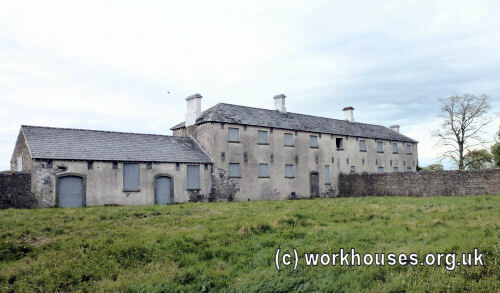 By 2002, the former workhouse site had become semi-derelict with one of the front blocks being used as a local council depot. In recent years, the buildings have undergone extensive renovations which revealed the survival of many unique features. 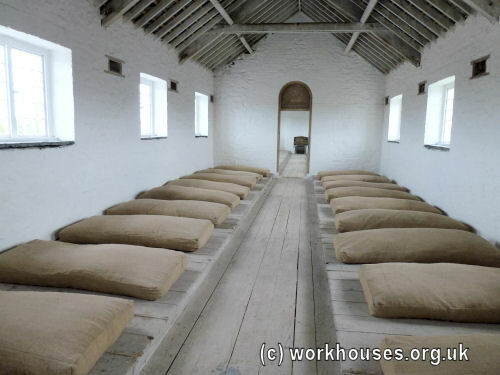 In July 2011, the site was reopened as the Irish Workhouse Centre giving visitors a chance to explore one of Ireland's best preserved workhouses. 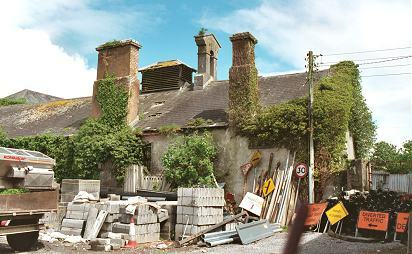 Portumna workhouse from the south, 2014. Portumna workhouse girls' block and chapel from the west, 2014. 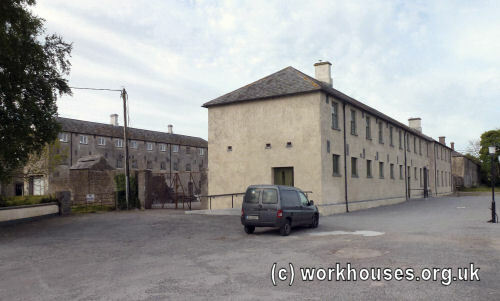 Portumna workhouse girls' dormitory, 2014. 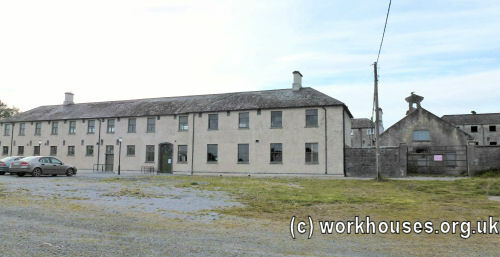 Portumna workhouse infirmary block from the south, 2014.